To start, find a similar item of clothing you already own and fits you well. 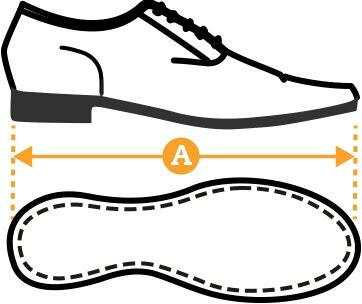 Place your item on the floor or a flat surface and using your tape measure/ruler, measure the item using the guides below. Measure the garment, not your body. 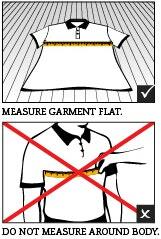 To find your fit, compare our measurements below with the measurements of your chosen garment. This will give you the best idea of how our clothes will sit on you. We offer a range of Shirts, Suits, Waistcoats, Jackets, Knitwear, Polo's & T-Shirts available in Taller sizes (Size Code: T) and Dress Pants, Jeans, Chinos and Shorts in Longer Legs (Size Code: L) that give you a bit of extra length. Please refer our TALL measurements for sizing. 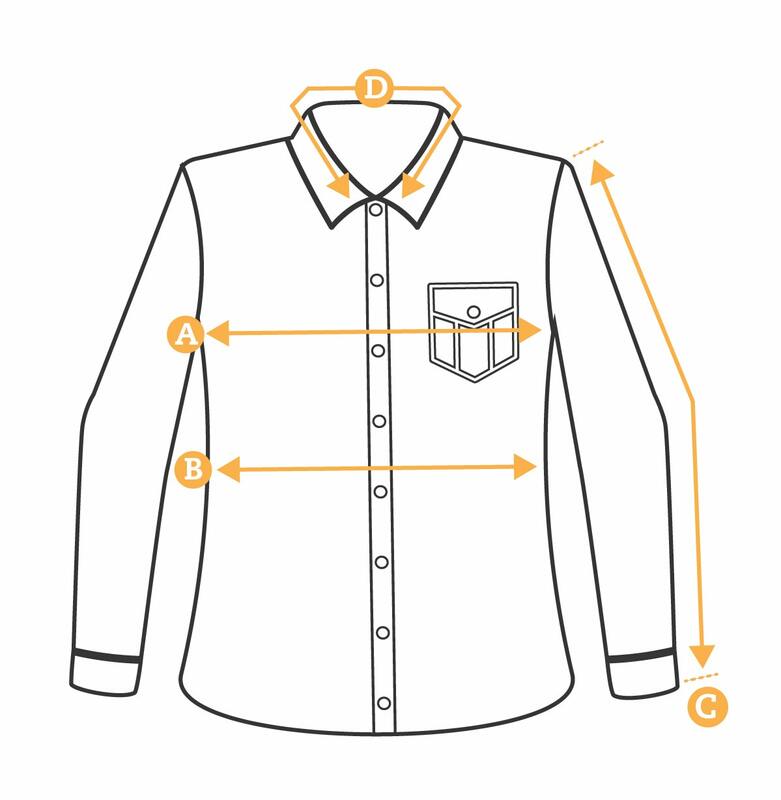 Please note that our shirt sizing is a fashionable/modern fit and you may find you need a larger size than what you currently purchase from other brands. E.G. If you usually buy a 2XL in another local brand you may need a 4XL at Johnny Bigg – Please check our guides carefully to ensure you get the size right for you. If you are unsure, please don’t hesitate to contact us at jbonline@johnnybigg.com or 1300 564 66 (1300 JOHNNY). If you do happen to choose the wrong size you can always order the right size online & return the wrong item for a refund. 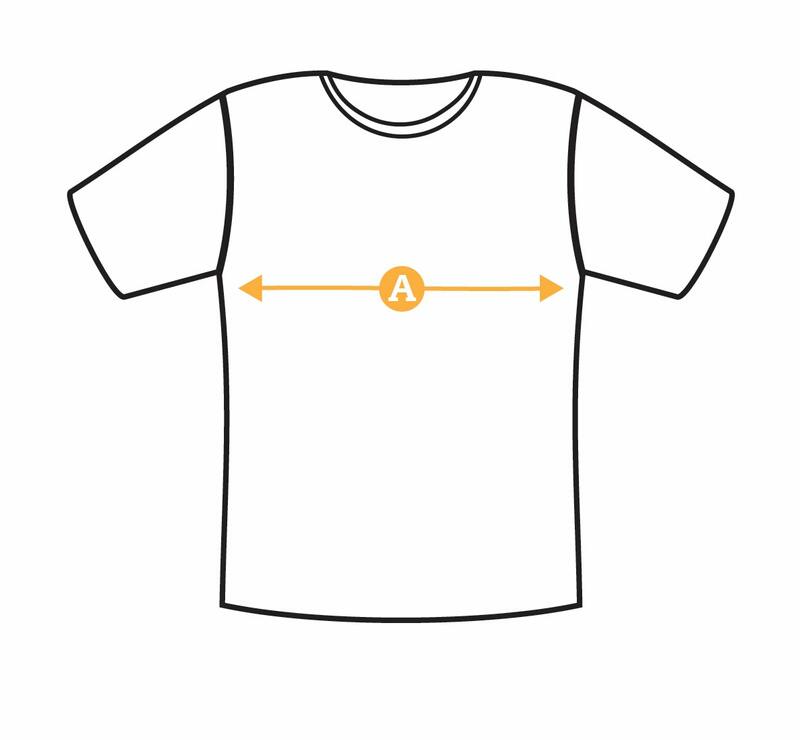 A. Chest- Measure straight across, from armpit to armpit, 1 inch below armpit. 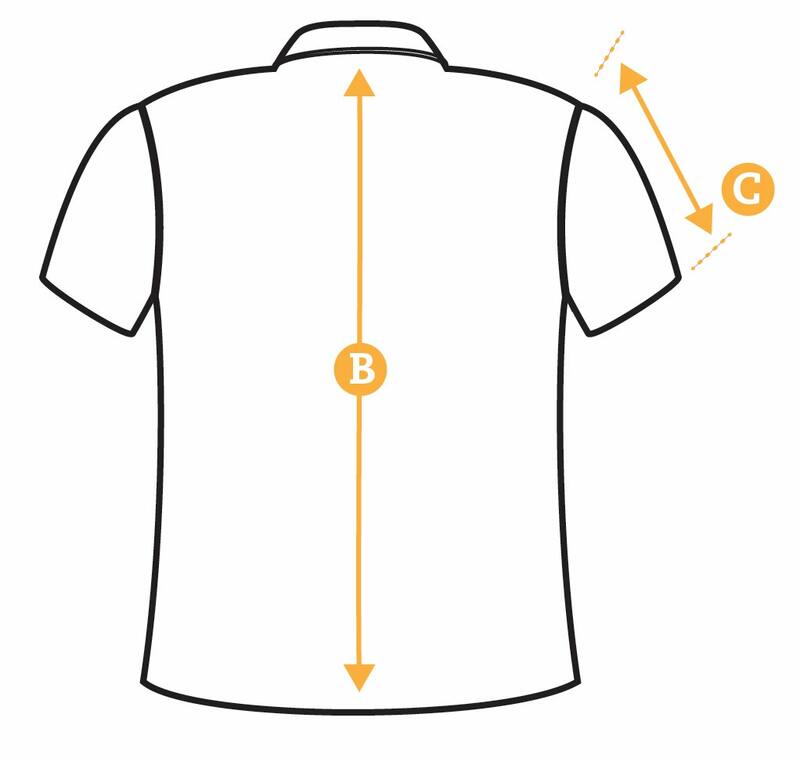 B. Waist - Measure straight across at the narrowest mid-section of the shirt. 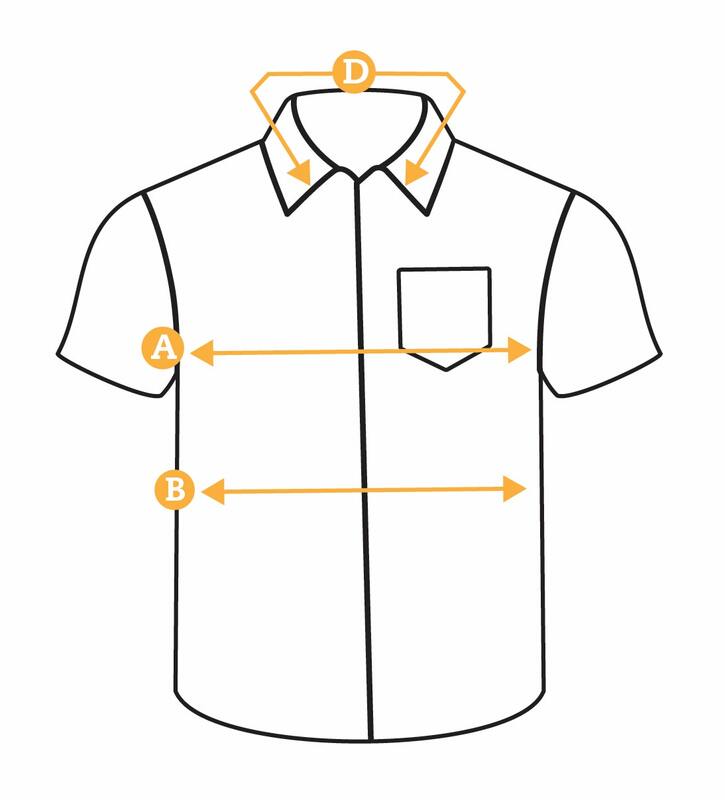 C. Sleeve - Measure from the top of the sleeve to the bottom of the cuff. 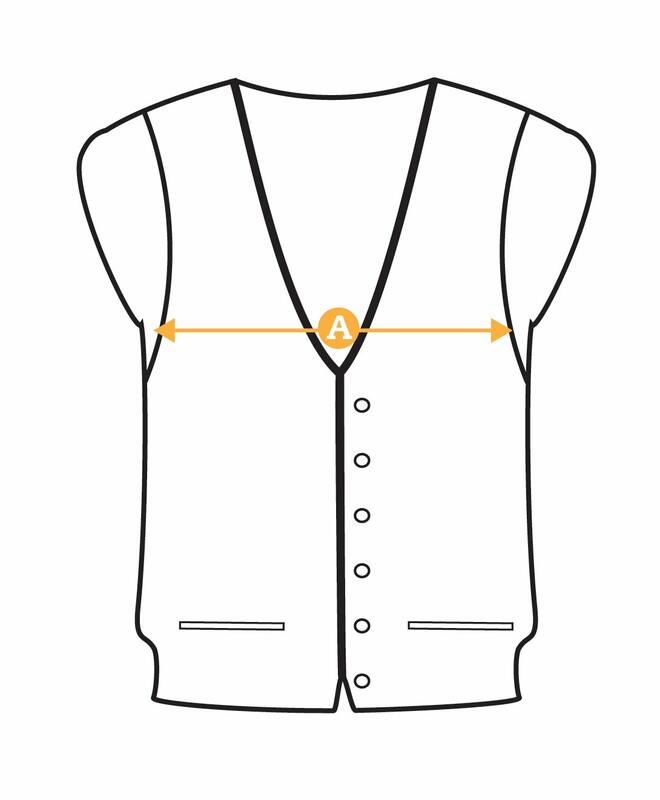 D. Neck - Measure collar opened flat along the ground from button to button hole. Please note that our shirt sizing is a fashionable/modern fit and you may find you need a larger size than what you currently purchase from other brands. E.G. If you usually buy a 2XL in another local brand you may need a 4XL at Johnny Bigg – Please check our guides carefully to ensure you get the size right for you. A. Chest - Measure straight across, from armpit to armpit, 1 inch below armpit. 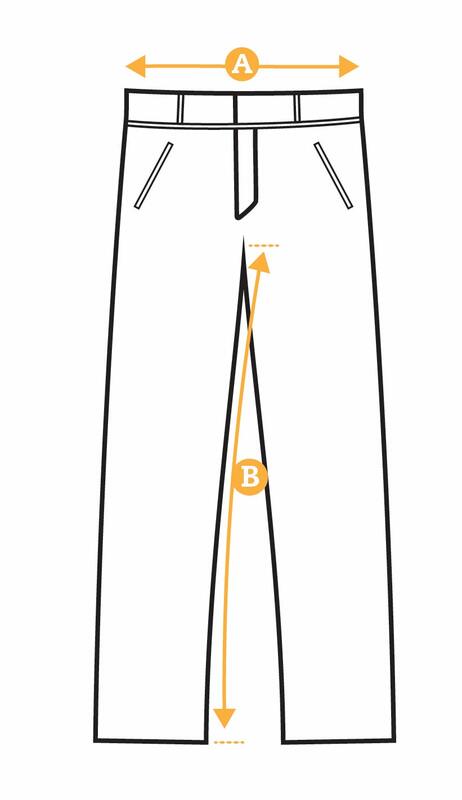 A. Waist - Measure along the top edge of the waistband. 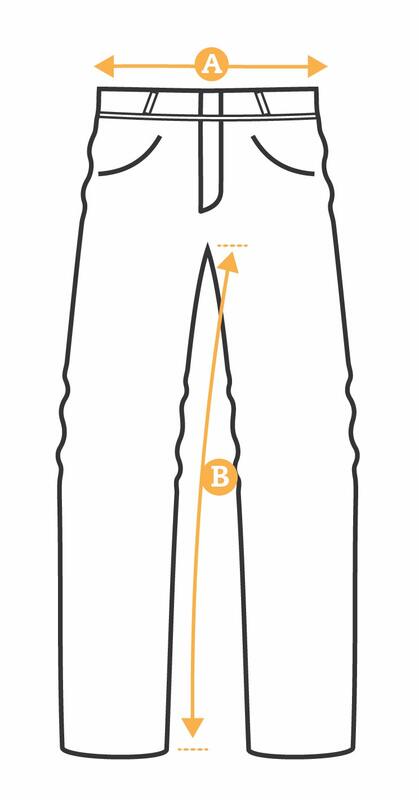 B. Inseam -Measure down the inside leg from crotch to hem. 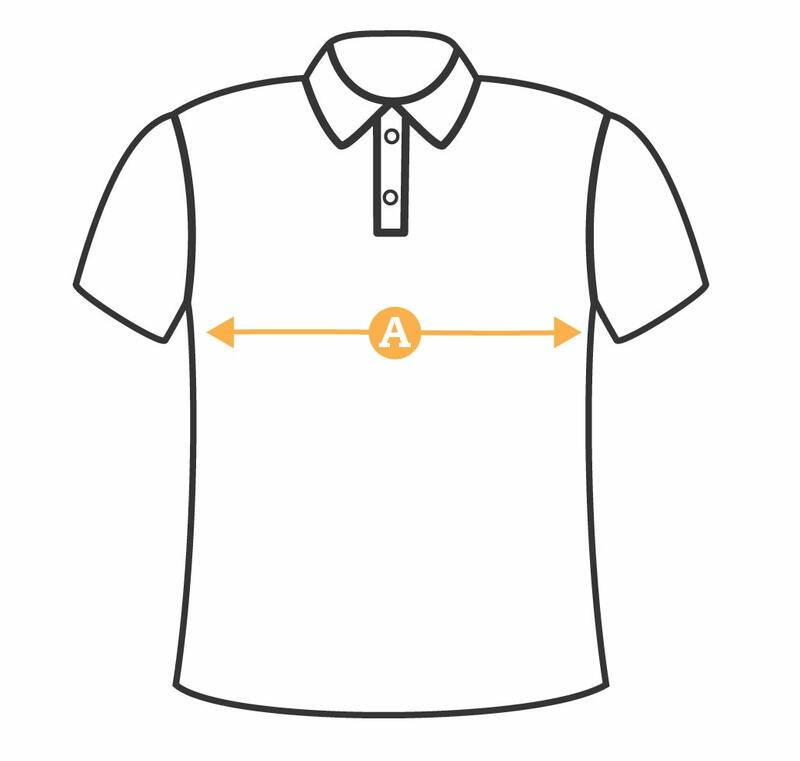 Please note that our T-Shirt & Polo sizing is a fashionable/modern fit and you may find you need a larger size than what you currently purchase from other brands. E.G. If you usually buy a 2XL in another local brand you may need a 4XL at Johnny Bigg – Please check our guides carefully to ensure you get the size right for you. B. 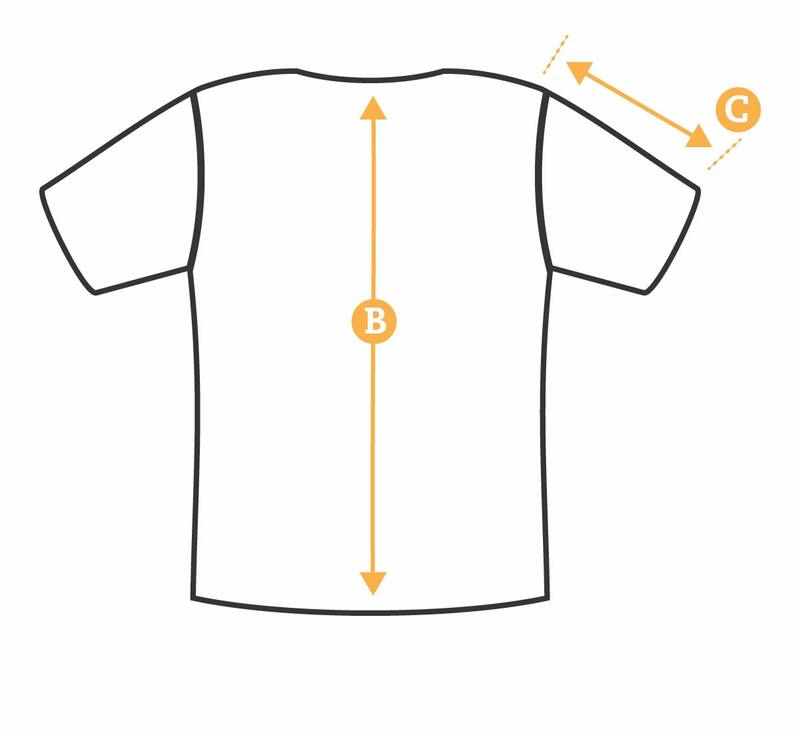 Length - Measure along the back of the T-Shirt from neck seam to bottom of hem. 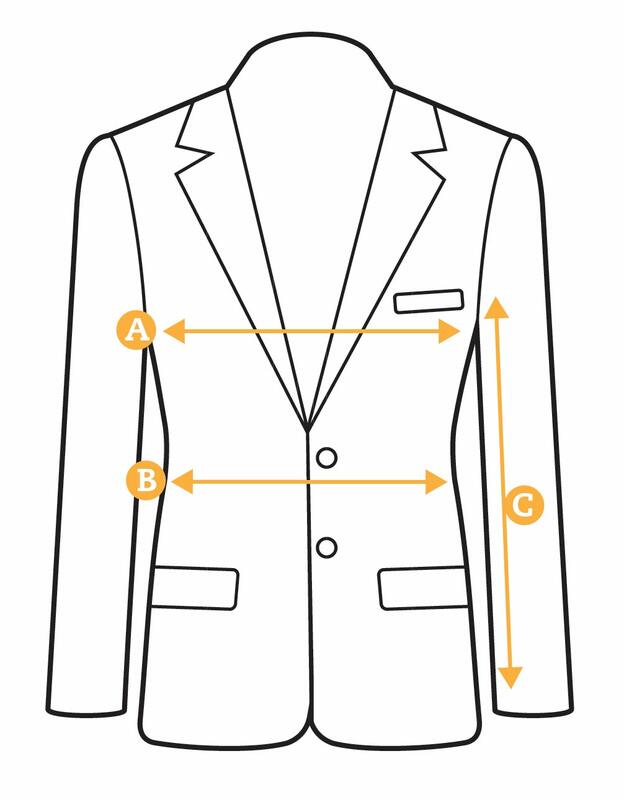 Please note, the suit size selected is based on the Jacket - you will receive pants 6 sizes lower as part of the suit, up to and including a Size 52. E.G. Size 46 Jacket includes Size 40 pant. Sizes 54 and above will receive pants 4 sizes lower. E.G. Size 54 Jacket includes Size 50 pant. B. Waist - Measure straight across,18 inches down from highest part of the shoulder. 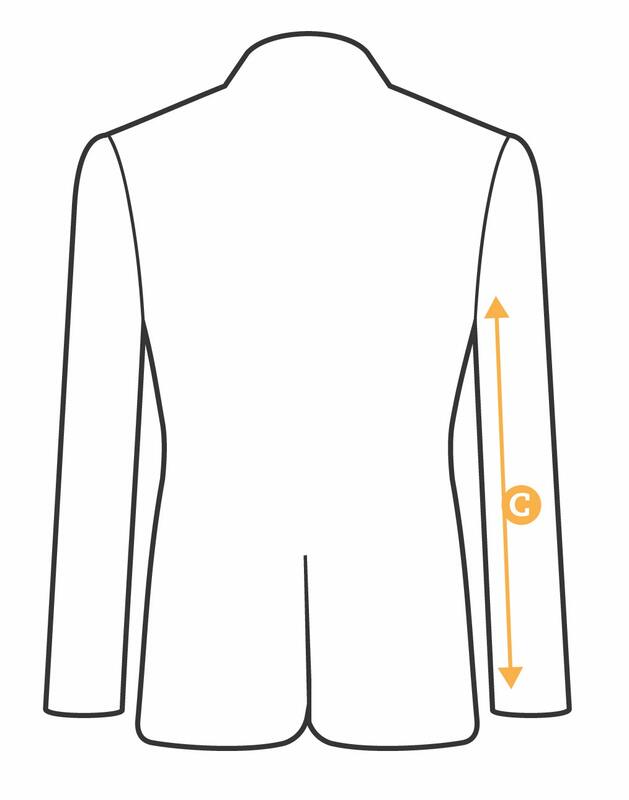 C. Sleeve - Measure along underarm of sleeve from armpit to bottom of the cuff. D. Waist - Measure along the top edge of the waistband. 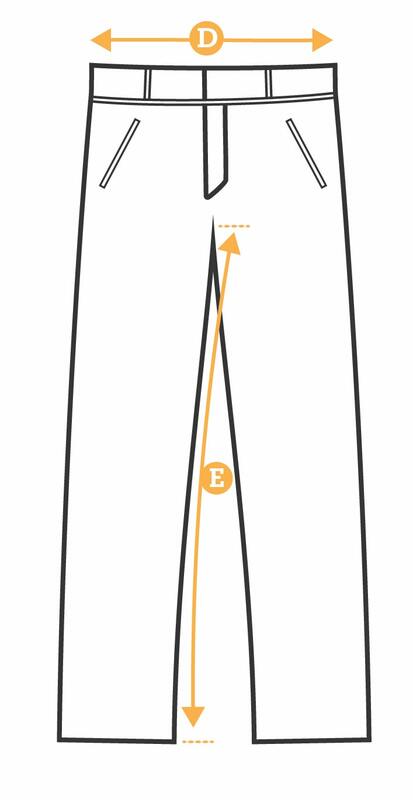 E. Inseam - Measure down the inside leg from crotch to hem. F. Chest - Measure straight across, from armpit to armpit, 1 inch below armpit. 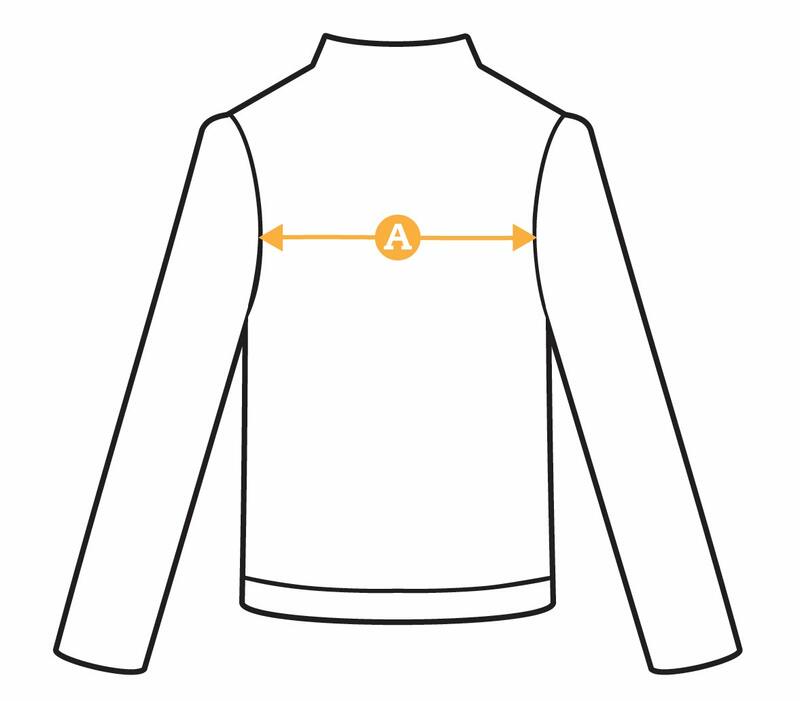 C. Sleeve- Measure along underarm of sleeve from armpit to bottom of the cuff. 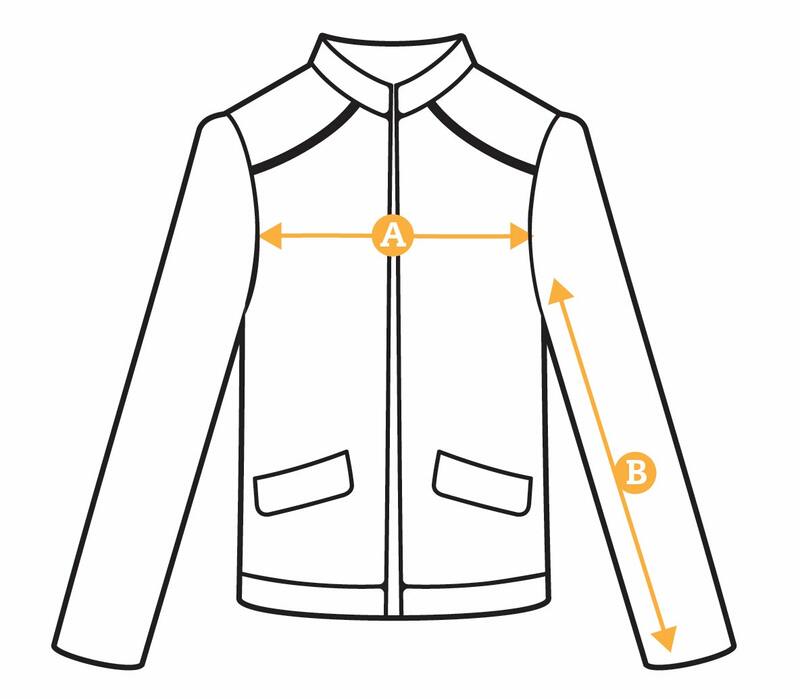 Please note these are a basic Casual Jacket measurements guide only and may vary according to style. B. Sleeve Length - Measure along underarm of sleeve from armpit to hem. A. Chest - Measure straight across from armpit to armpit. B. 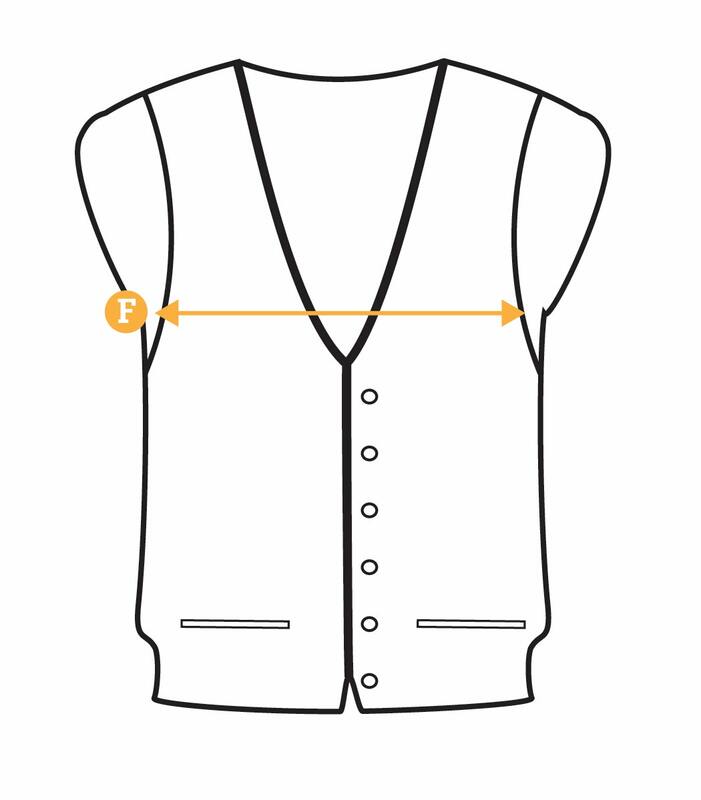 Length - Measure from the top of the waistcoat to the bottom hem.